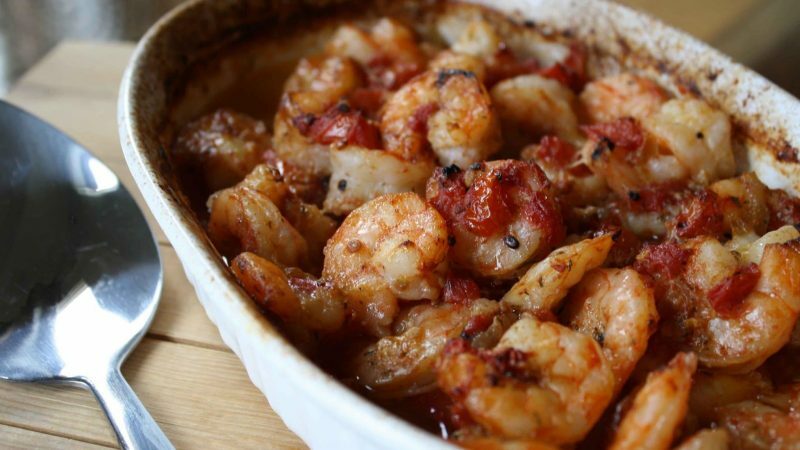 This creative shrimp recipe is unlike any other. The tomatoes mixed with our Rodelle Salmon Seasoning make the perfect combination. Toss tomatoes with garlic, 1 tbsp olive oil, balsamic vinegar, and 1 tbsp of the Rodelle Seafood Seasoning. Coat shallow, ceramic, oven safe baking dish with remaining olive oil and place tomato mixture in bowl. Roast tomatoes for 35 minutes, remove from oven, add shrimp and stir tomatoes and shrimp until all the shrimp is coated. Sprinkle remaining salmon seasoning over the top of the dish. Reduce oven temp to 375 degrees and bake for 20 minutes.